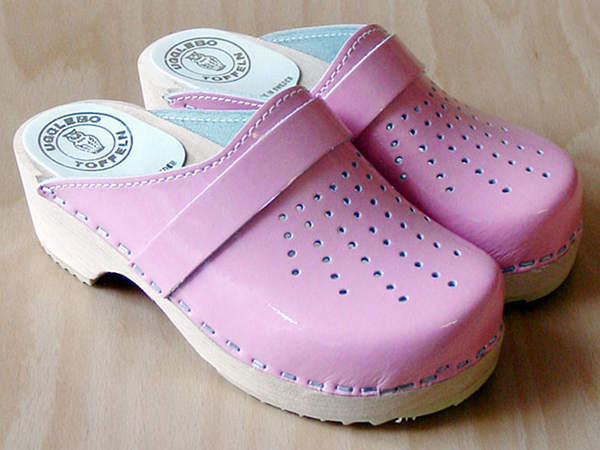 We’re loving the clog craze taking the fashion world by storm right now. Who says our littlest people can’t get in on the act? Available in September from Red Nest, are these exquisite patent leather Ugglebo clogs from Sweden. I’m in love with the sunny yellow pair but the blue and pink are just as delightful. The company has been making clogs for more than seventy-five years so they really know what they’re doing. While you could never describe these clogs as dainty, they would pair up beautifully with most girls’ outfits, even with pretty dresses. I’m really going to enjoy seeing my friend’s daughters clomping around in theses beauties all summer long. 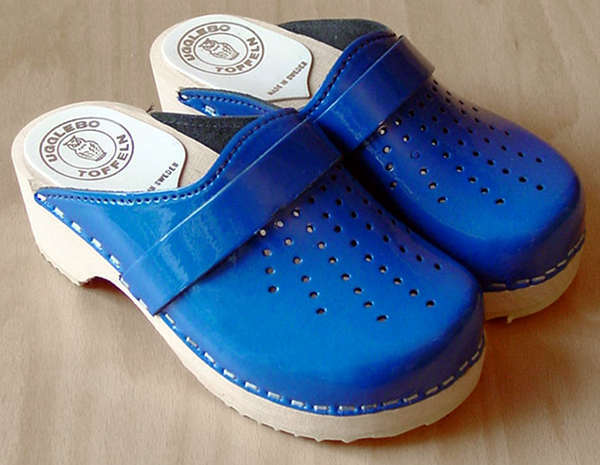 There are health benefits to wearing wooden clogs as they draw sweat away from the foot. Let’s hope this makes for a less stinky summer as they’ll want to live in these all day every day. Little feet will also breathe easy in the heat with the beautiful hole detailing in the top of the shoe. 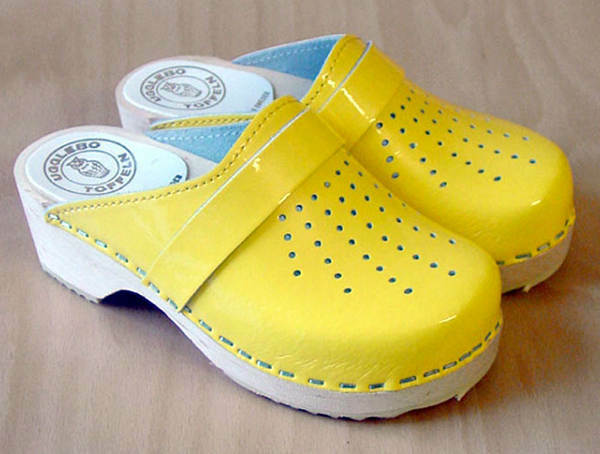 Ugglebo clogs come in Euro sizes 27 to 35 and will retail for $87. Grab a pair from Red Nest, then take a look at our past editorial on other Red Nest labels.